Cells which are present in the body are a specialty of cells. After an age, they are destroyed themselves. But after the disease of the cancer, that specialty of the body of the organ is eliminated. Those cells do not die, but grow from two to four, four to eight. Their self-destructive ability ceases. The part of the body of the body that starts to become difficult, the same organ is considered to be a place of cancer origin. – The first reason is Tobacco consumption or Smoking. Cigarette smoking and tobacco consumption are directly related to lung diseases. It has the risk of lung cancer. – The second reason is pollution in the air. Pollution from the factories or the smoke coming out of diesel trains, the most benzene gas is released. This gas pollutes the air, causing the risk of lung cancer. – The third reason is genetic genetic That is, this type of cancer is also due to the change in the genes present in the body. There is a direct connection to pollution and lung related diseases that no one can deny. The advice is given that the disease associated with the lungs should stay away from pollution sites. According to doctors, lung cancer is of two types – small cell cancers and non-small cell cancers. – Non-small cell lung cancer spreads less rapidly than small cell lung cancer. There are three stages in lung cancer just like every cancer. – Early stage or early stage – when cancer begins. In one part of the body, its cells begin to grow in two or four steps. In this stage, a lump or part of the body can be removed from the operation, in which the symptoms of cancer have been found. – Intermediate or Between Stage – When the cancer cells start spreading from one organ of the body to another. This stage involves chemo therapy, radiotherapy therapy and surgery. – Advance Stage – When the cancer cells are fully spread in other parts of the body. In this stage, the scope of the patient’s recovery is not equal, but treatment with chemo therapy can be done. 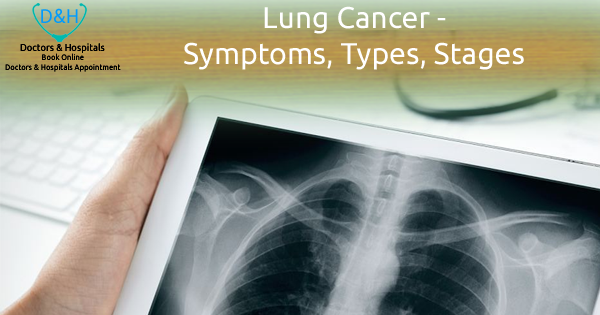 Read about Lung Cancer Symptoms, Types of Lung Cancer, What is the Stages.